This website comprises a brief biographical sketch and links to several of the publisher's Christian resource websites. 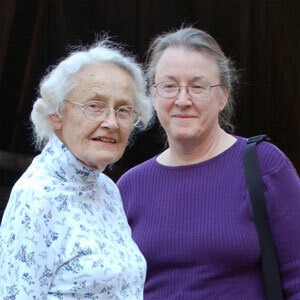 The photograph depicts my wife, Jane, and her mother, Joan Knauss. All information on StephenHesterman.com is provided "as is." This site contains biographical information and links to several Christian resource websites. By using this website, you agree that Stephen Hesterman is not responsible for errors or omissions, and shall have no liability for damages of any kind, including special, indirect, or consequential damages, arising out of or resulting from any information, product, or service made available hereunder or the use or modification thereof.